(NaturalNews) Fruit, bread, cereals and pasta are popular sources of glucose. Also known as blood sugar, glucose is a vital source of energy for the body. It is constantly required by our muscles and brain. For optimum performance, our brain must have a regular supply on hand because it is incapable of keeping a store for future use. Our muscles, on the other hand, need it for energy when we engage in physical activity. Carbohydrates are the main source of glucose but the body can also source it from proteins and fats as well. Upon breakdown, these foods are converted and absorbed into the blood. The hormone insulin acts as the key that insures proper absorption of sugar into the cell. In persons suffering from diabetes, there is either insufficient insulin or the body does not produce insulin at all, resulting in increased sugar levels in the blood. Under normal conditions, sugar levels in the blood rise and fall accordingly as glucose is absorbed into the cell producing energy. 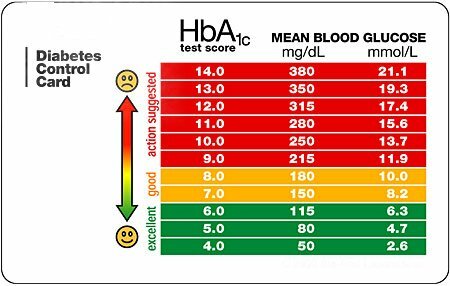 Maintaining normal blood sugar levels is necessary for the body’s overall health. An erratic blood sugar level can affect the body’s performance and can even lead to complications if left unchecked. Low blood sugar levels or hypoglycemia is a condition where glucose in the body is way below normal and is indicative of a more pressing health problem. People suffering from this condition experience shaking, confusion, crankiness, unusual behavior and sometimes loss of consciousness. This condition is commonly linked to diabetes. However, irregular eating habits or simply going on a fast can make blood sugar levels dip. Having some form of sugar or fruit juice on hand can immediately deal with this problem. However, this is merely a quick fix and is no substitute for regular, healthy and nutritious meals. Increased sugar levels, otherwise known as hyperglycemia, may not immediately cause any damage to the body’s organs, but they can produce weakness, thirst, a need to always urinate and susceptibility to infections among others. Viewed long term, this condition can develop into diabetes, kidney disease and even nerve degeneration that commonly leads to amputations. In fact, the complications of diabetes that is not properly managed can further cause heart disease and issues with blood pressure as well as cholesterol levels. Culturally and traditionally, herbs and spices have a long history of use in food and its effect to health. In a study by the University of Georgia, it was revealed that many herbs and spices, being rich in the antioxidant phenol, can prevent damage and inflammation to tissues caused by high levels of blood sugar. According to Associate Professor James Hargrove of the UGA College of Family and Consumer Services, protein glycation happens when blood sugars are high. Protein glycation is a process where protein molecules bond with a sugar- producing advanced glycation end product, otherwise known as AGE products. AGE products cause inflammation and damage to tissue connected with diabetes and aging. The University of Georgia study further discovered that there was a direct connection between the phenol content in herbs and spices and their capacity to retard the production of AGE compounds. 1. Cinammon – This herb has been found to have 18 percent phenol content in dry weight. For type-2 diabetics or those who suffer from insulin resistance, studies have shown that improved insulin sensitivity and blood glucose control can be had for as little as ? teaspoon per day. Improved insulin resistance helps in weight control and lessens the risk of heart disease. 2. Sage – This herb contains phytosterols reputed to have a cooling action. Herbal medicine practitioners use it to treat uterine bleeding and cramps. A German study on this herb shows that diabetics who drank infusions of sage on an empty stomach reduced their blood sugar levels. It is popularly used to flavor meat and soup dishes and can even be drunk as tea. 3. Garlic – Garlic contains sulfur compounds – specifically hydrogen sulfide gas – which dilate blood vessels. It is this effect that reduces blood pressure. This same compounds help in the metabolism of iron and protect against oxidative damage and even high cholesterol. Garlic can be found in different types of vegetable and meat recipes and adds a characteristic flavor in soups and sauces. Compared to prescription drugs, herbs and spices have been consumed for years and have been historically proven safe with no risk of side effects.